"I love you, Nana. I will miss you forever"
"Our thoughts and prayers are with your family." "I'm so sorry to here about Lee's passing. She was a great lady who treated me l"
"We were shocked to hear from Karyn that Lee has passed away. So sad and send c"
Stow, MA - Letitia (Green) Warren, 75, passed surrounded by her loving family at the Life Care Center of Nashoba Valley in Littleton on September 4, 2018. She was born to the late William R. Green, MD and Kathleen T. (Sullivan) Green in Lowell on October 27, 1942. Lee is the beloved wife of 52 years to Edward B. Warren. After graduating from Lowell High School in 1961, Lee’s love of children led her to attend Salve Regina College and Fitchburg State College en route to earning a bachelor’s degree in special education. 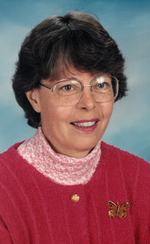 She worked in the Stow school system for many years. Lee was also an avid animal lover. Her big heart extended to sick iguanas, elderly cats & dogs, handicapped chickens and beyond. She spent many wonderful years with her horse Nic and a long list of lucky cats, dogs, guinea pigs, rabbits, and whatever else made it onto the property. In addition to her husband she is also survived by 3 children, Edward W. Warren of Stow, Michael Warren and wife Susan of Gardner, and Karyn Warren of Stratham, NH; a grandson, Preston Warren, her siblings, Constance Ryan of Palm Beach Gardens, FL and Garrett Green of Boxborough. Lee was predeceased by her parents; her brother William Green and her sister Kay Townsend.